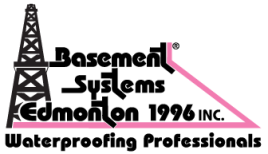 Basement Systems Edmonton services wet basements, crawl spaces and foundations in Edmonton and surrounding areas. Fill out the form below for a FREE estimate and our team will contact you to schedule your appointment. Rest assured, you're in good hands with Basement Systems Edmonton. *Free Inspection within Greater Edmonton. Other areas may incur an inspection fee.